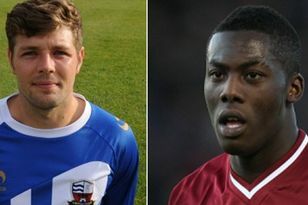 PREMIER league new-boys Birmingham City have handed two local teenagers professional contracts at the club. Dorridge-born centre half Jacob Rowe put pen-to-paper on a one-year contract at St Andrew’s on Tuesday while Sheldon-based left-back Shaun Timmins followed in his footsteps on Wednesday. The 18-year-old’s are both delighted with their deals especially lifelong Bluenose Timmins. “Just like all of my family I’m a huge Blues fan so this is a dream come true for me,” said the former Lyndon School pupil. “I’m happy that all my hard work during my Academy years has paid off but I also know there’s plenty more hard work to come. Timmins was a regular for the Academy U-18s side last season and featured in every round of the club’s progression to the semi-finals of the FA Youth Cup. He has also represented the Republic of Ireland at U-17 and U-18 levels. Rowe has also spoken of his determination to figure in Alex McLeish’s plans this season after picking up the Academy player-of-the-year award. But the former Solihull Moors youth player knows his chances will be limited following the multi-million pound summer signings of Roger Johnson, Scott Dann and Giovanny Espinoza. “It feels really good that I have signed my new contract and it shows that if you work really hard you get your rewards for it,” he said. Academy coach Steve Spooner lauded praise on Rowe and said he was a great example to all the young players at the club. “If anyone deserves one on sheer determination to improve it’s him,” he said.